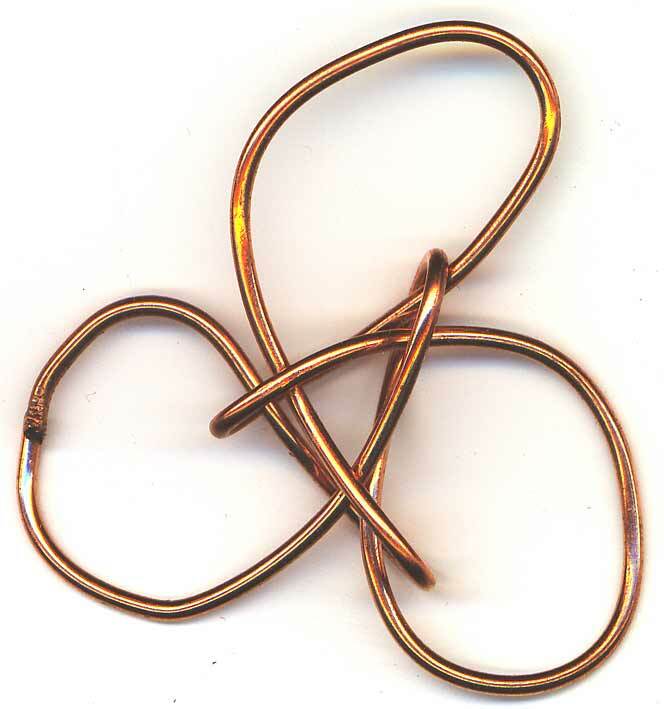 I have this vague recollection that Lydia Chen hadn't really named the variants in her Chinese Knotting 3 book, they were more like "variant A" and "variant B". 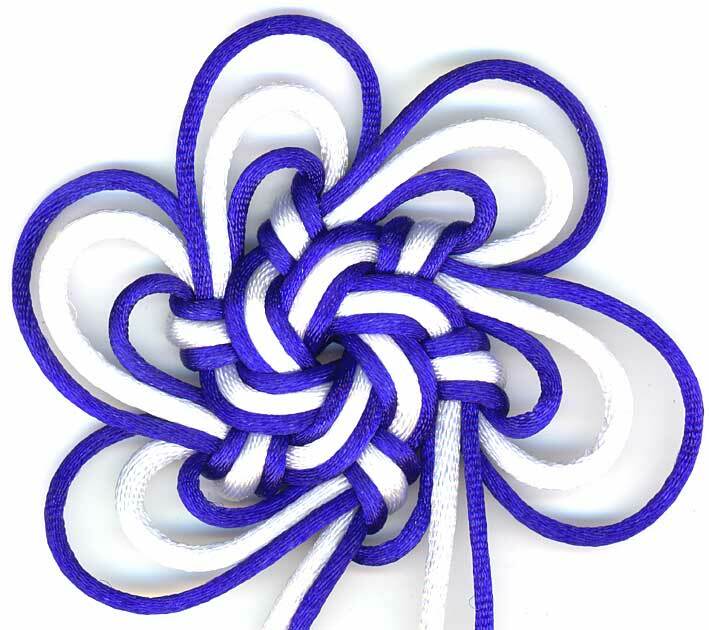 The good luck knot (吉祥結), a name coined by Lydia Chen who wrote the seminal book Chinese Knotting in both Chinese and English, is based on the crown knot. 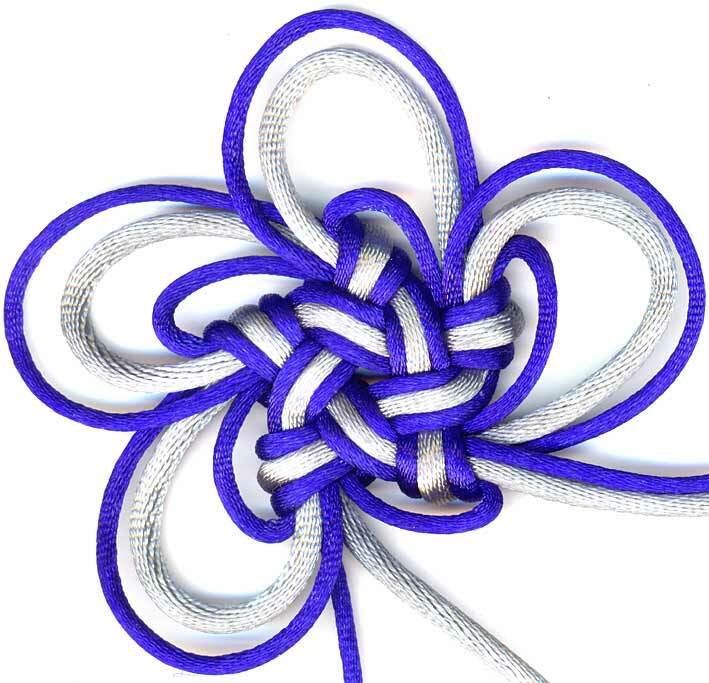 Usually the crown knot is tied in sequence to create a sinnet, a braid composed of knots. 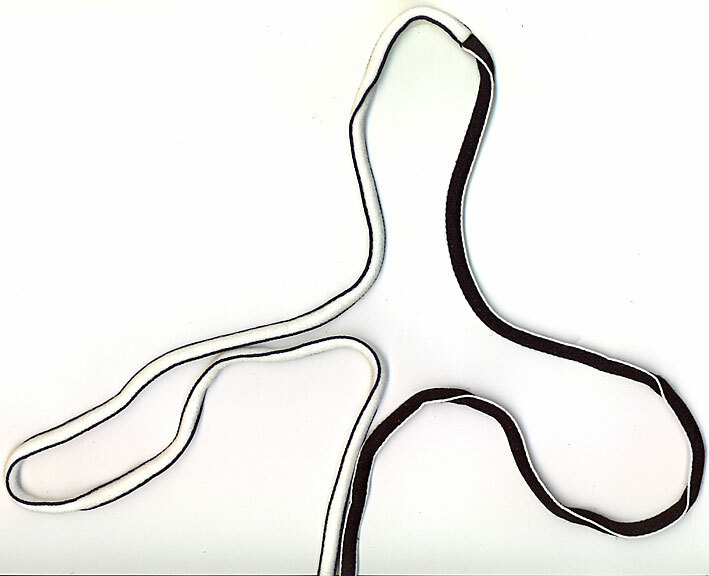 The best static (not animated) instructions I have found on the net for the crown sinnets are by The Boondoggle Man who, unfortunately, calls them the square stitch and the circle stitch. 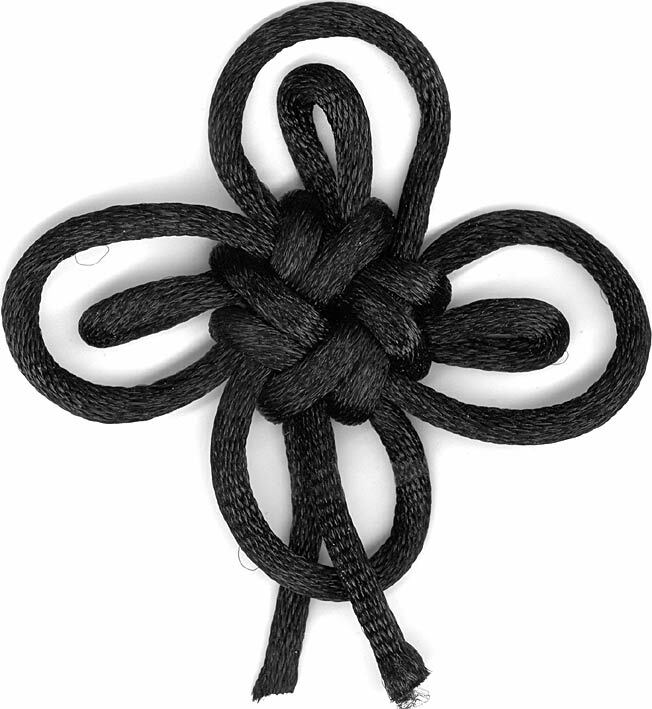 As you can tell from the logo over at The Chinese Knotting Homepage, the good luck knot is one of my favourites. To the left here started out as an experiment with decorative rope making. I wanted to see if I could duplicate a braided look with twisted rope techniques. The rope side of things worked out (at least to my eyes) but then what to do with it? 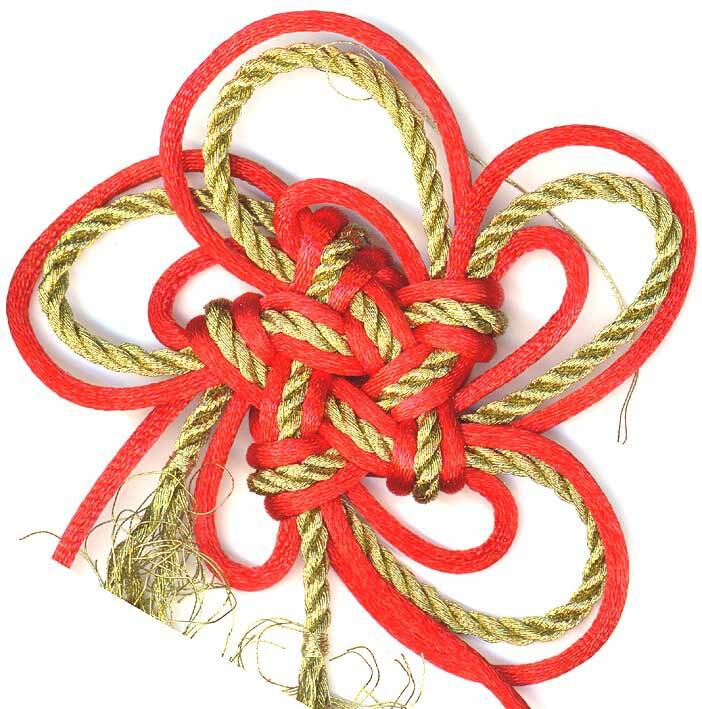 The good luck knot seemed like a good choice as there is minimal fiddling with the cord during construction for this decorative rope with unknown durability. I started thinking about this year's ornament sometime around November. Of course, if I wanted to make a seasonal kit to sell, I should start the process in the summer and be done some time in September or there'bouts. In any case, I was having my usual thoughts about stars and snowflakes and after a few prototypes decided to go with snowflakes. I have to rant now. 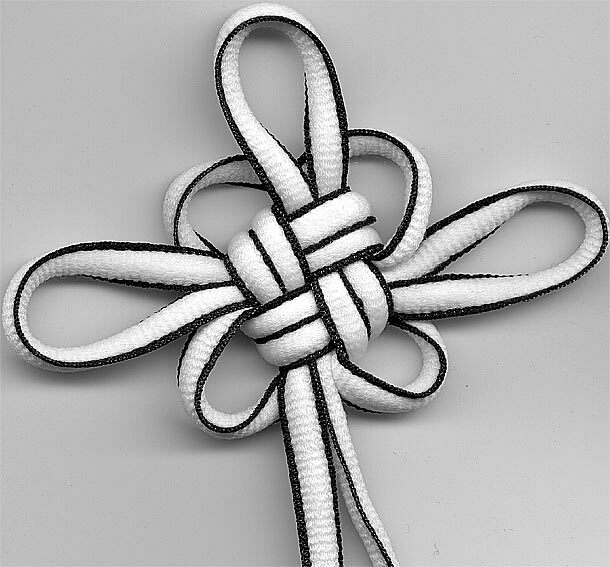 I was reviewing my previous post and noticing how rounded the 6 pointed stellar knot looked when I remembered it being way more angular. 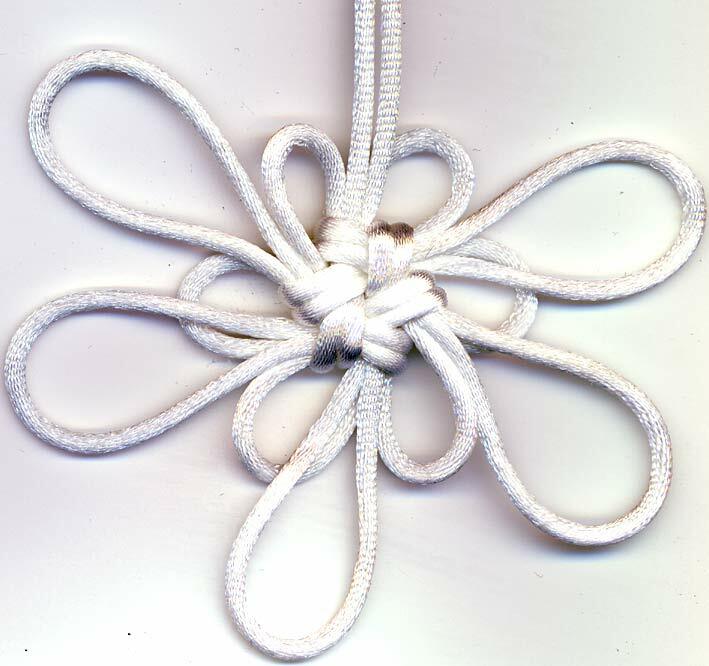 Looking at the actual knot revealed that there is a mild sidedness to the stellar knot. One side appears more rounded than the other. 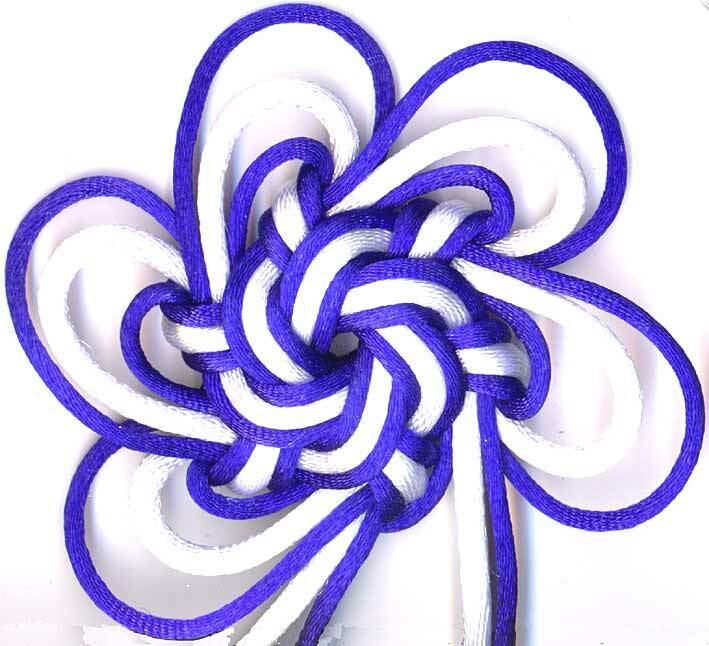 I tried tightening the knot more firmly, but the curve is still there. I'm trying to start a new tradition/product line. So far I've almost carried through the tradition, but nothing on the product line front. 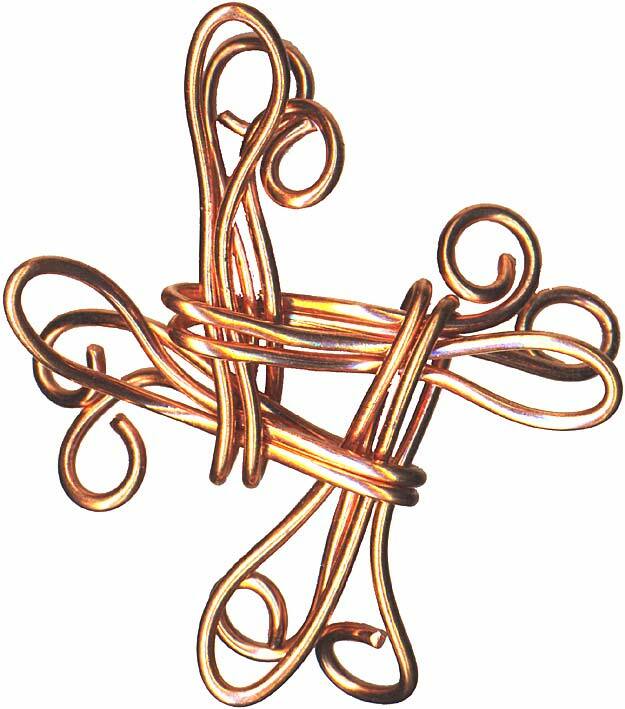 What I'd like to be doing is designing a new festive tree ornament kit each year. If you look over at the shop site you'll notice a distinct lack of ornament kits. It's all in the timing and that, since I am the Queen of Procrastination, does not work in my favour. 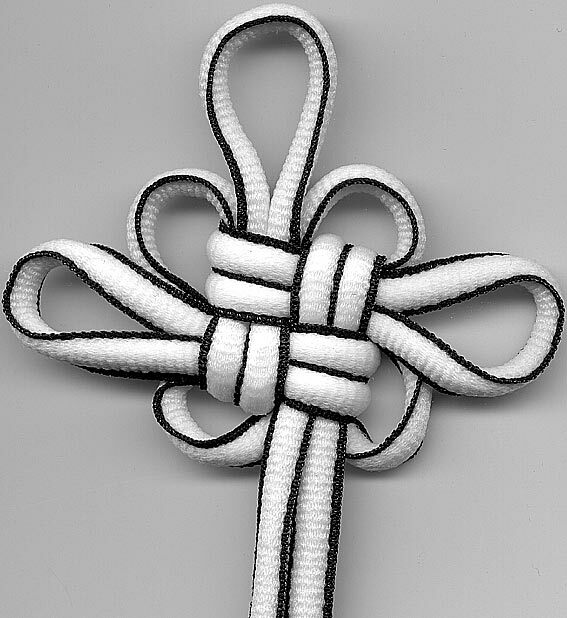 Documenting this backwards: the first knot I tried because of the simplicity of the structure and easy construction was the good luck knot. 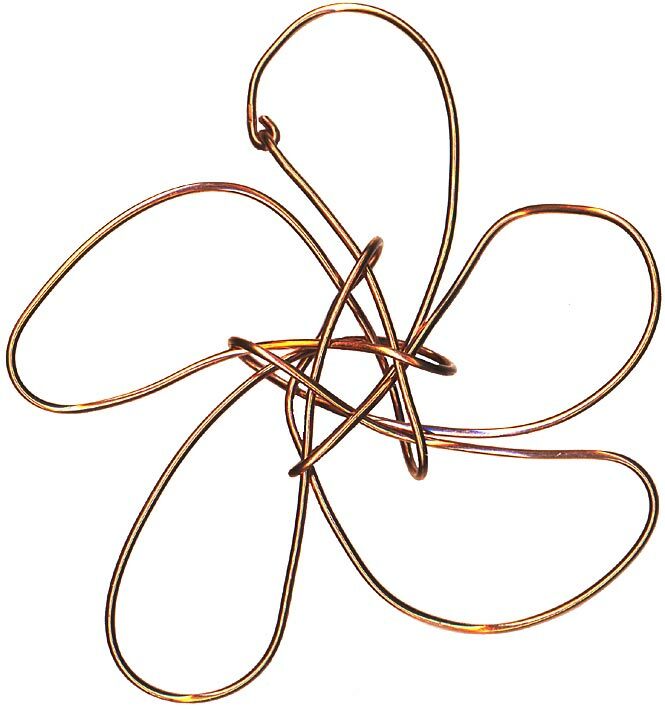 Significant amounts of twisted wire cluttered my work area until I decided to try tied knot templates. 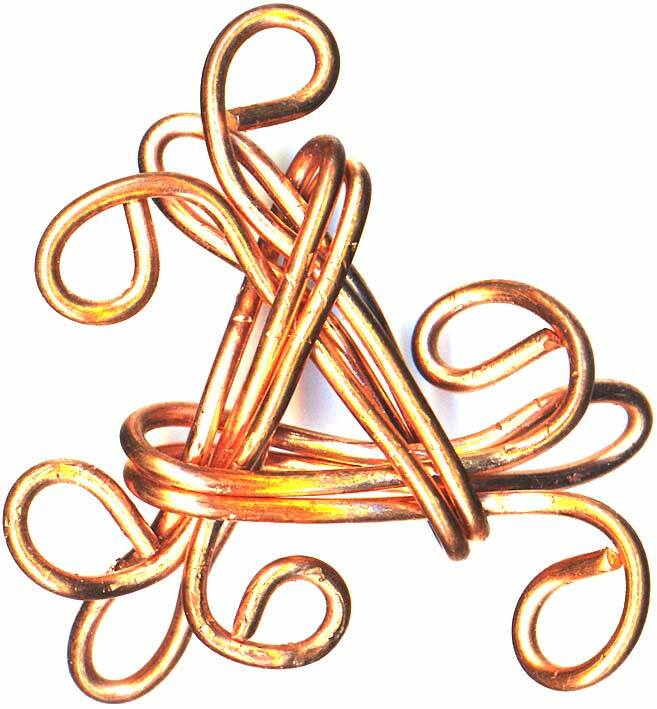 Simple folded shapes, each one the same, fit together to form the knot. A little fiddling with the ends to make sure the pieces don't pop back out completes the knots.